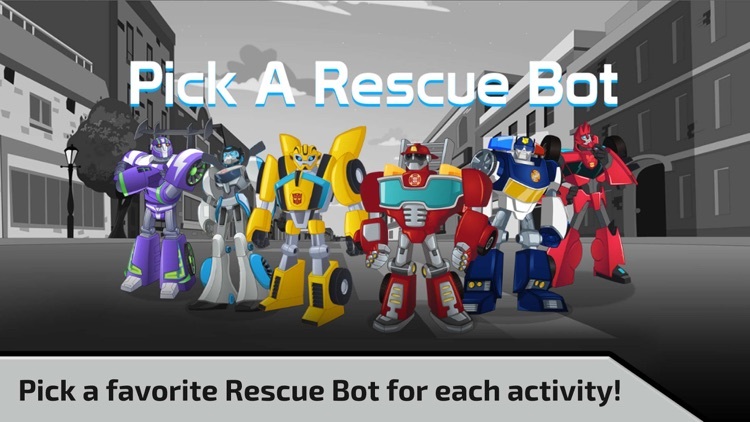 •	Take control by picking the Bot YOU want leading each mission! 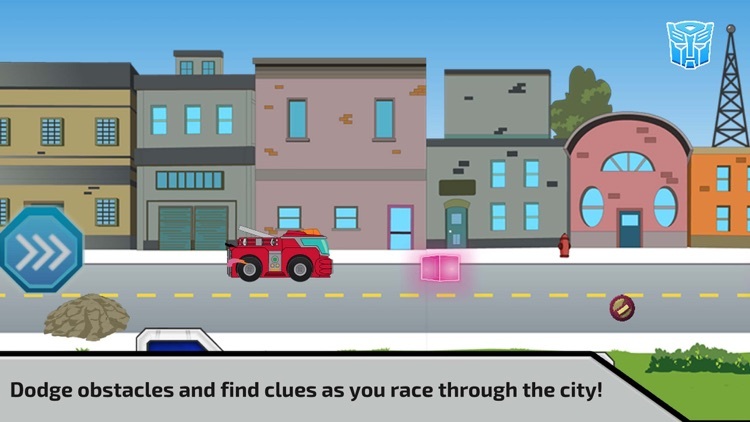 •	Hunt for clues across Griffin Rock! 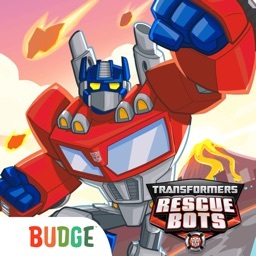 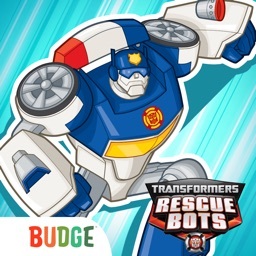 •	Race your fellow Bots to hunt down the rogue Cybertronian! 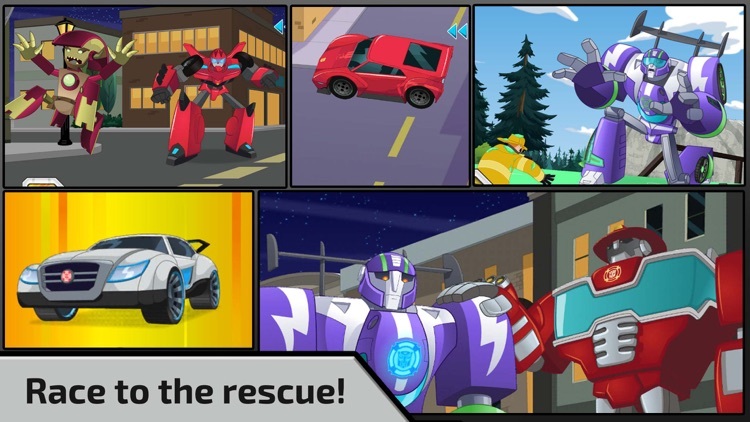 •	Interactive, animated scenes that put you in the middle of the scene! 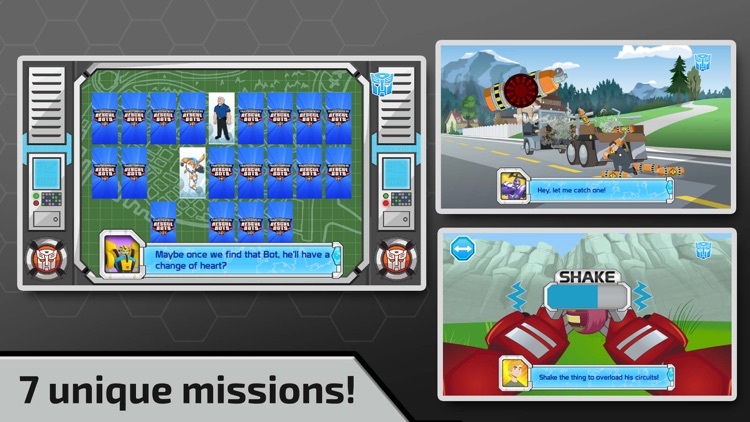 •	Race, catch, match, and dodge through seven unique missions that propel you through the story! 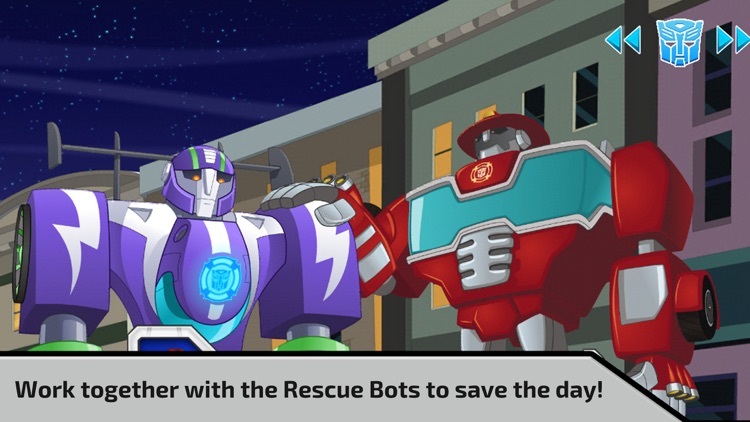 •	YOU pick the best Bot for each mission! 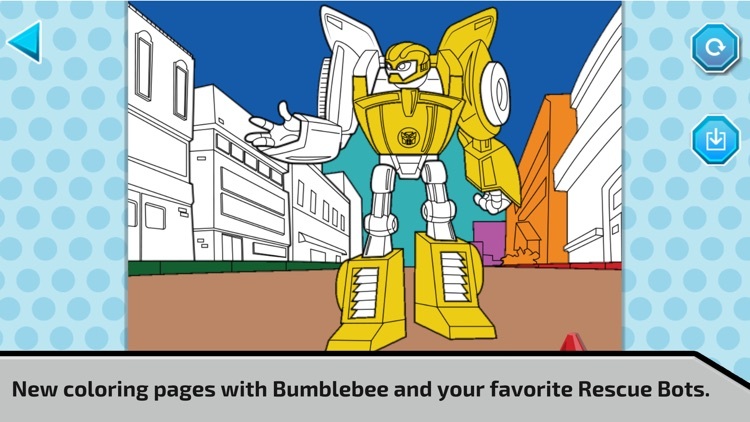 Bots include: HEATWAVE, CHASE, BUMBLEBEE, BLURR, SIDESWIPE, and QUICKSHADOW. 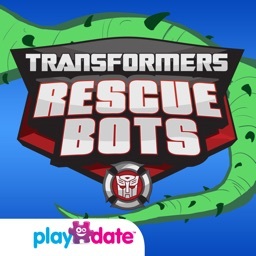 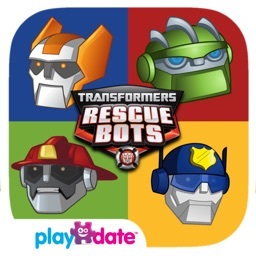 •	Sticker pack of over 20 your favorite Transformers Rescue Bots to use with iMessage. 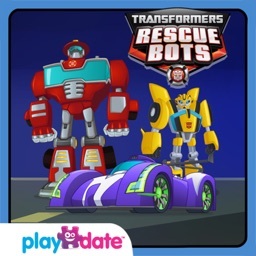 PlayDate Digital Inc. is a publisher of high-quality, interactive, mobile educational software for children. 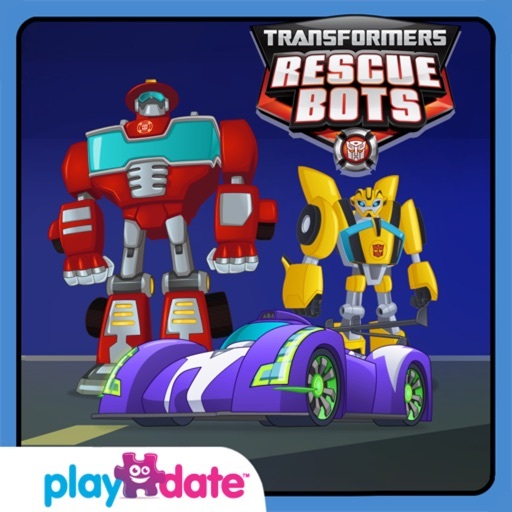 PlayDate Digital's products nurture children's emerging literacy and creativity skills by turning digital screens into engaging experiences. 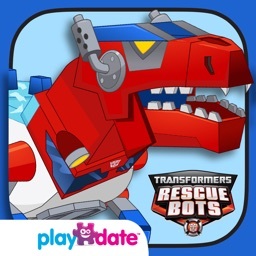 PlayDate Digital content is built in partnership with some of the world's most trusted global brands for kids.